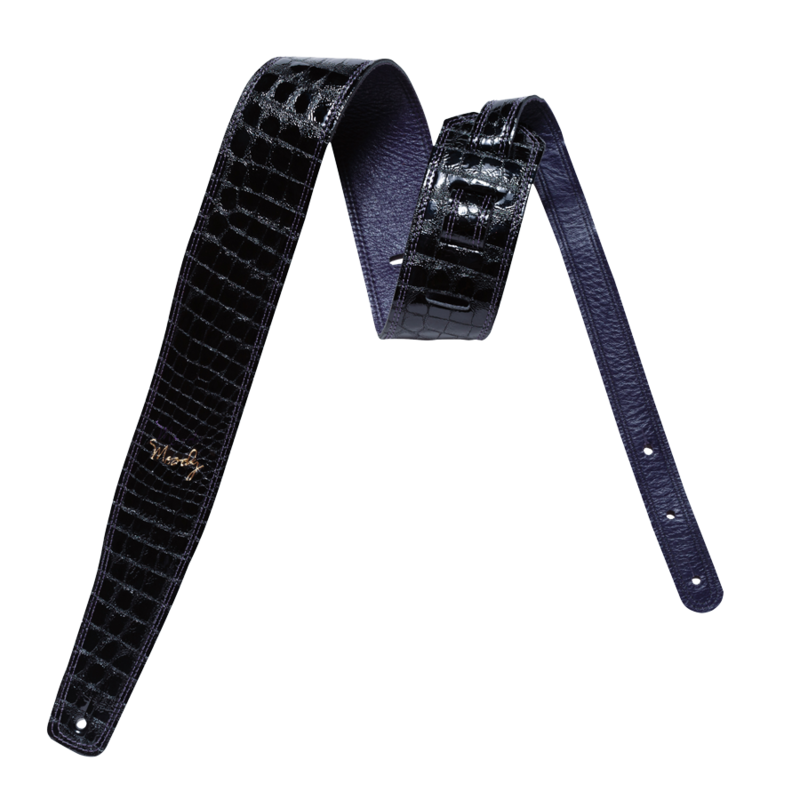 Handcrafted in the United States, our 2.5-inch black and purple faux gator leather backed guitar strap from Moody Leather is one of the best guitar straps you will ever be able to find anywhere. With our reinforced double stitching and distinctive color it guarantees both an amazing look and excellent functionality. You can also choose from the standard, long, and extra long configurations for maximum comfort.